This time of year it can be difficult to keep excitement in check for the coming gardening season. The seed orders start arriving, the days are longer, the sun shines brighter and warmer, and things are starting to look like spring. 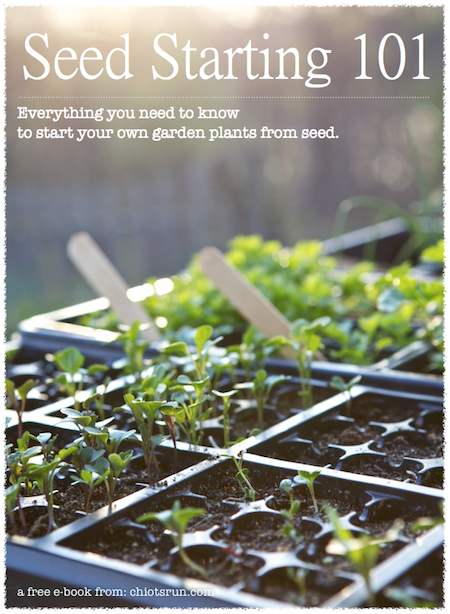 It’s easy to get overexcited and start seeds way too early, I’m guilty of this as much as any gardener! It’s really best to wait and transplant things at the correct time. When held too long, plants get bigger and have more transplant shock, thus it actually sets them back and there’s nothing to be gained by starting them early. I have this printed out and hanging right by my seed starting area. I’ve noted in different starting dates for things I like to start earlier or later and I’ve added things to the chart that they don’t list (like basil). 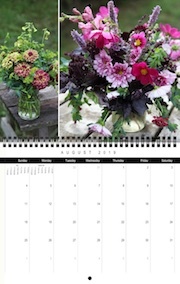 This would be an easy reference to copy and amend for your specific planting dates and climate. For example, I find that starting celery earlier than their given time works better for me. I also start onions a bit earlier (in the next week or two) as I like them to be a bit bigger at transplant because otherwise, I have issues with the robins pulling them up. This coming week I will be starting my early onions, which are ‘Purplette’ from Johnny’s Seeds. Have you ever started seeds too early? Last winter I did a great job of growing microgreens and herbs for our meals. I had great intentions of starting flats of green when we got back from Israel, but catching up with work and life got in the way. Yesterday morning I finally got two flats started; one filled with spicy microgreens and the other with cilantro. I put them under the woodstove to warm up, this should help germination rate and speed. After the soil was warm, I put them on top of my grow light stand, which is in the same room as the woodstove and very warm up that high. Hopefully in 10 days or so we will be enjoying the microgreens for breakfast. Now I just need to remember to start another flat next week. This time of year, I carry my flats of seedlings in and out so they can get some real sun. Like gardeners, they do much better when able to spend lots of time outside. Eventually, I’ll have a small greenhouse, then I won’t have to do this chore. Typically, I’m already transplanting seedlings in the garden, but this year spring is taking a long time to arrive. That’s OK with me, it gives me more time to get some of the other necessary chores out of the way. Though I must say, space under the grow lights is becoming very limited!